Concept Art House sighted at PG Connects SF! 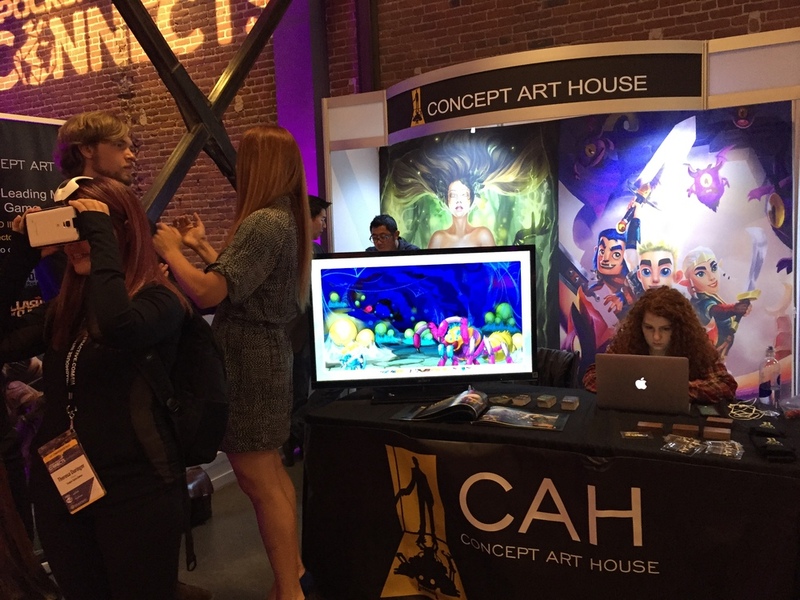 Concept Art House was at Pocket Gamer Connects San Francisco last week! Team CAH was busy meeting old friends, new clients, and talking to developers about CAH's stellar game art services. From concept art, to character design, to post-production marketing art -- Concept Art House is your one-stop shop for game art. PG Connects SF - the Concept Art House booth is poppin'! CEO James Zhang shared his insight on the future of mobile game art. Going back to the early-2000's, James mapped out the progression of mobile game art and gave examples of where developers should be looking for inspiration for their next game. You can see his presentation slides here. Video recording of his talk to be available soon! Concept Art House CEO, James Zhang, sharing the Best Looking Mobile Games of 2015.